As I view the current Seventh-day Adventist Church, I see a Church that is quickly becoming more and more divided. The liberals are pushing pro-women’s ordination and homosexuality and the conservatives are stuck in the past, pushing for a return to the way things where done ages ago. This growing divide has caused us to lose our spiritual identity. We no longer know why we exist as a Church. Instead of focusing on the mission God has given us, we are playing church and wondering why we are not impacting the harvest. I am tired of hearing Church administrators play with words… talking about how strong and healthy the Church is in North America. The Church could be a driving force for love and eternal good if it would stop navel-gazing and focus on the truths we all ready have in the Word of God and Spirit of Prophecy. The time has come for us to unify around seeking and saving the lost. Church leaders need to be training church members on how to be effective disciples in the harvest. Once the mission is clearly defined within the local churches and people are being disccipled, local churches can then be transformed into safe places for the lost to meet Jesus and experience His amazing grace. Once people have met Jesus and know Him as their personal Savior and Friend, they can then be taught more advanced truths that are grounded in the Word of God and Spirit of Prophecy. We need to be living and sharing Jesus at every level within our Church. In doing so, the Seventh-day Adventist Church will begin to fulfill the mission God has given us. You are OVER 1000% correct. Even on Facebook, I see women I went to school with in the late 60’s at Rio Lindo Academy, with jewelry on and praising God in their posts. I see it in our own church. 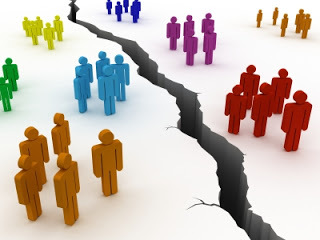 The church and members are fragmented and going to beyond repair IF we don’t get serious. We, however need to be careful with the homosexuality as God loves us and NOT our actions. The Mormon church won’t let a homosexual in the doors of their church. Let’s be careful NOT to get so close in their actions to where our members become to conditioned to non- christian and behavior in Judging that is not acceptable to the Lord. Even though the bible speaks against this abnormal behavior , We should simply ACCEPT EVERYONE and ANYONE and pray for God’s intervision in the matter. I was EXTATIC when the Conference started addressing child abuse in ” SDA Parents.” I suffered, as did my 3 sisters with parental abuse for our entire lives. My dad was a teacher and principal and fill in minister for the church. My mother retired as a Psychiatric RN 4 from the state of California. Unbelievable!!!!!!!!! The SDA church NEVER paid my father sufficent monies and allowances to support our family. I remember eating out of Krogers dumpsters. I am grateful that we could even eat that way. We HAD to move every 1.8 years because of my dads unacceptable behavior patterns. How do you EVER have a lifelong friend when you are subject to this as a child. After working full time in the broom factory at Rio Lindo and going to school also, I received a note, instead of a diploma, reading, ” You will receive your diploma when you bill is satisfied at the Administrators Office.” This WAS my parents responsibility as I had done my part!!!!!!!!! This does absolutely NOT build pride, self esteem and integrity to the graduate. I was so very HURT. My dad was later Court Ordered to pay my bill and didn’t. Graduated in 1968 and finally got my diploma in 1982. Fourteen years later. I do NOT see this as the way “Christians” should operate. I believe LUKE WARM is an undisputedly understated. What will it take to get us HOT again for God? I hear you on the homosexuality issue. I believe our churches should be safe places for anyone to walk into and meet Jesus and experience His amazing grace… this includes homosexuals. If a homosexual walks into an Adventist church, he or she should be welcomed with open arms. This does not mean we have to accept homosexuality as a God-thing or allow active homosexuals to become church members and leaders. Our churches need to be filled with dedicated members and those who are searching for answers. @ Rita – Sorry about your difficult past… I pray God will help you use it to make you stronger and use you to minister to others who may have gone through similar experiences.